After more than 350 releases, tireless noise label Hospital Records are releasing their very first visual-only release. 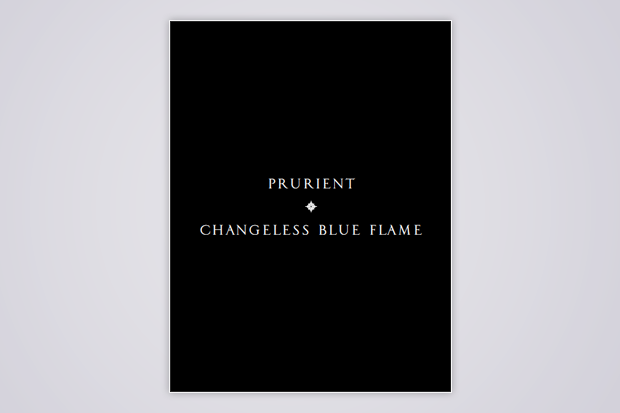 Changeless Blue Flame is a collage zine by power-electronics over-sharer and coldwave void-barer Dominick Fernow (Prurient, Cold Cave, Ash Pool, et al), presented as a split between his Prurient and Vatican Shadow monikers. 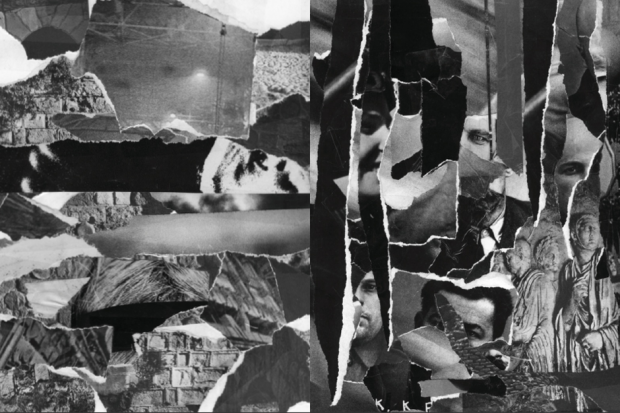 The Vatican Shadow half is two separate 60-page magazines (ed. 50 copies); the Prurient half is thicker (80 pages each!) and comparatively more widely distributed (ed. 100 copies). We’d love to include an MP3, but it would just be the sound of us gently turning pages. Download a full pdf excerpt HERE.